All Christians' beliefs are shaped by those who went before them. Now these giants of Christian history are presented chronologically and in a format that helps readers get to know them. In addition to a biographical sketch, readers will discover each person's primary contributions to the Christian faith along with a brief quotation from their work. Students, history buffs, and curious readers will be fascinated as their faith is strengthened. 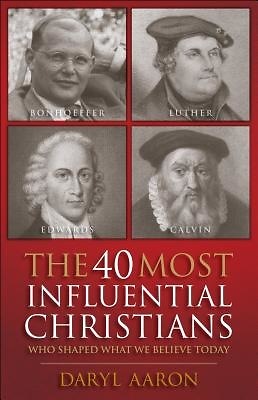 Included are Polycarp, Justin Martyr, Augustine, Thomas Aquinas, Martin Luther, John Calvin, Karl Barth, Carl F. H. Henry, and more.